I thoroughly enjoyed watching this episode. 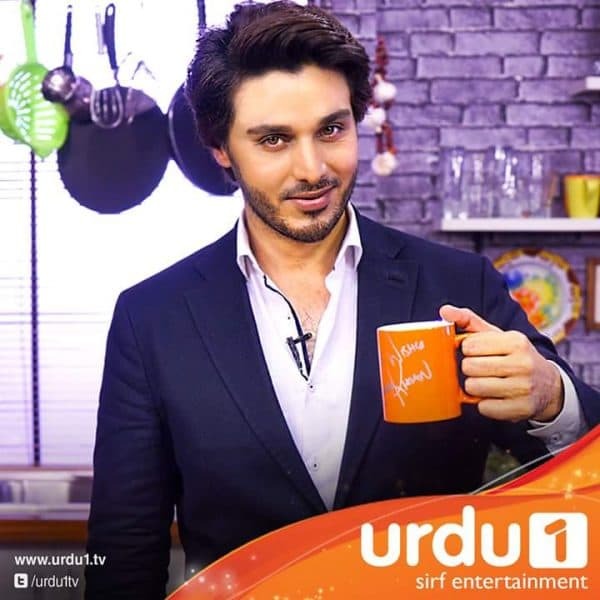 Ahsan Khan is a very talented actor, and after Udaari, I greatly admire and respect his work. 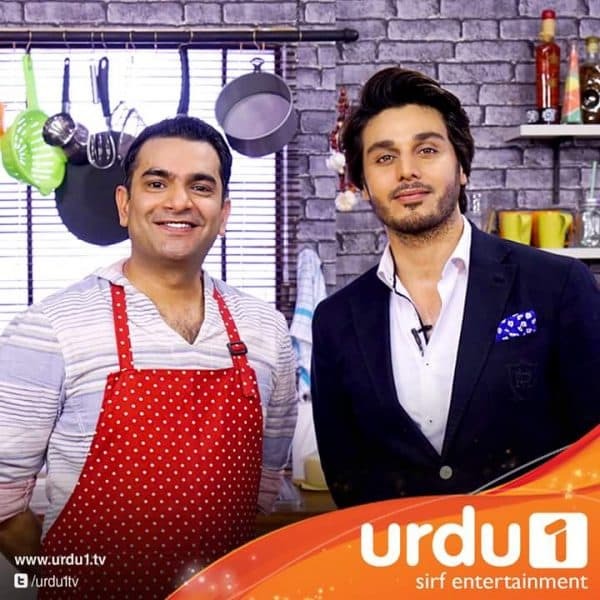 I am glad that Sarmad Khoosat asked Ahsan Khan to explain how he initiated the Dewar-e-Mehrbaani project in Pakistan. He revealed that through an inspiring video, he came to know about the project Dewar-e-Mehrbaani or Wall of Kindness initiated in Iran. He took it upon himself to bring this project to Pakistan. 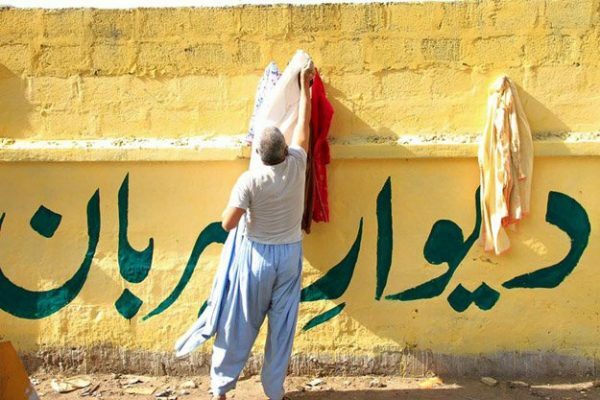 He joined hands with a bunch of friends to repaint the walls of Karachi. 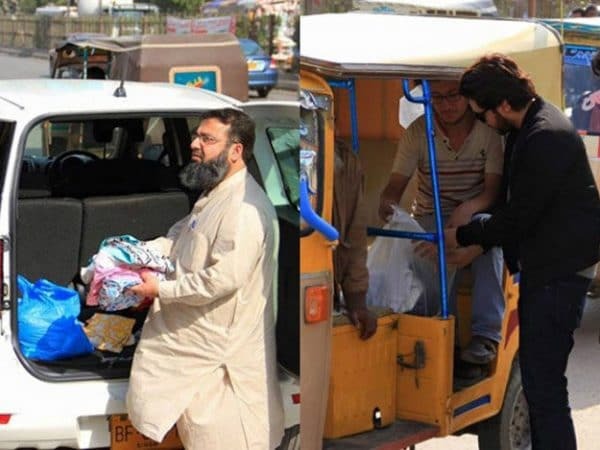 This was quite a positive step in the right direction that encouraged people to help the poor and needy. Dramas Khoosat asked Ahsan about his big screen projects. He revealed that he is currently working on two film projects, one of which has been completed. The name of the film is Chupan Chupai and it boasts a big cast including Jawed Sheikh, Rehan Sheikh, Sakina Samo and Ahsan Khan himself among other names. 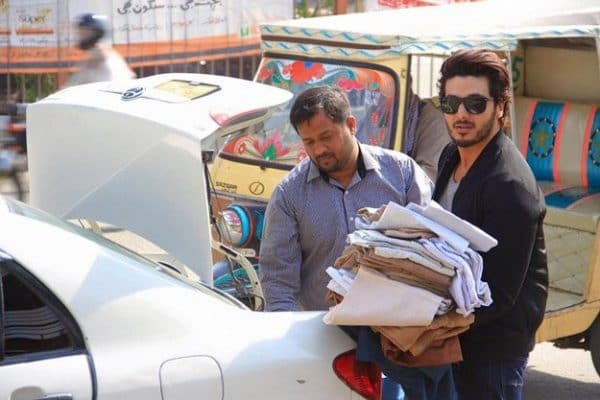 Ahsan Khan also spoke about typical saas bahu sagas with disdain; he believes that people associated with the industry are in the position to direct people’s attention towards important, relevant issues, so it’s high time that we broke free of done-to-death storylines. It was very nice to watch this episode, oh and I almost forgot: Sarmad cooked Thai curry today.